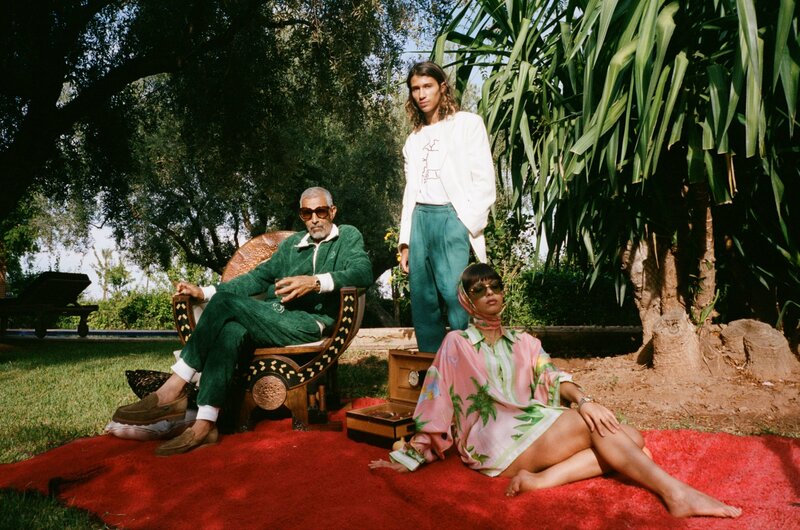 Maestro Dobel Tequila has created a relationship with Hodinkee, the watch aficionado magazine, and the two have launched a multi-city experiential event called On Dobel Time. 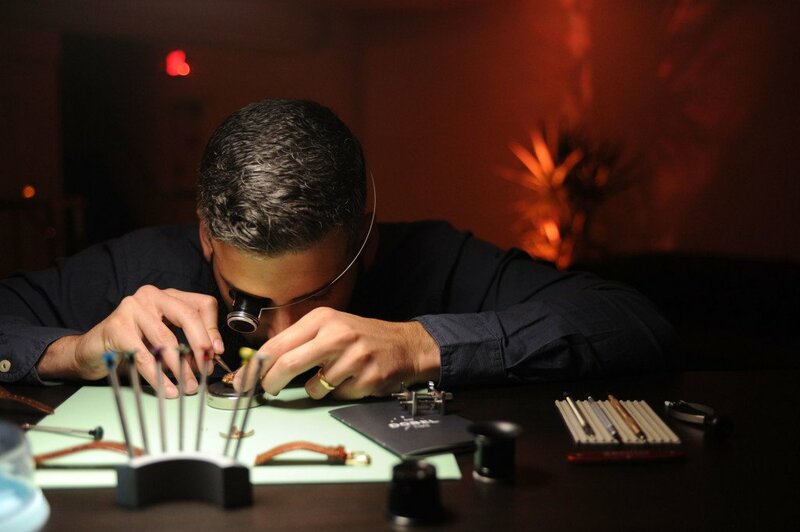 The partnership is based on the idea that watchmaking and Tequila making require skilled craftsmanship. Hodinkee is a leader in original horology content and the authority on timepieces. Dobel is luxury tequila. Together they have conceived an interesting journey into the world of timepieces. VIPs and tastemakers came together to celebrate the Miami Launch held at Temple House, a gorgeous Jewish temple refashioned into a modern event space. 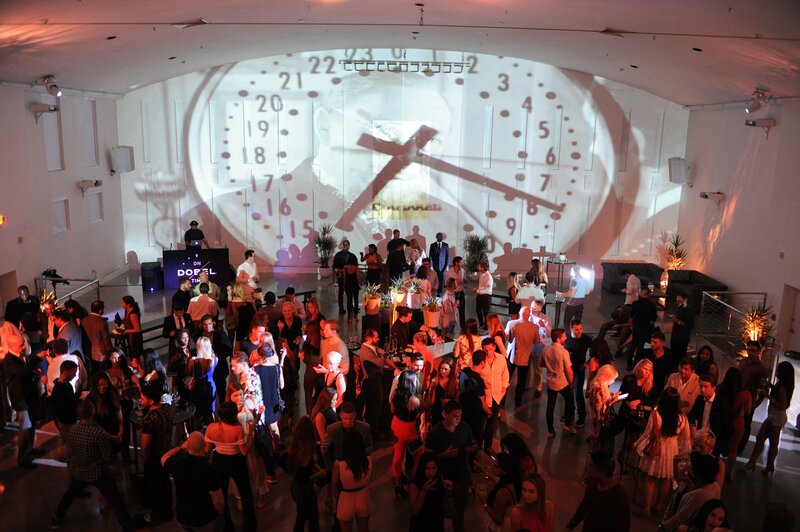 The main room was portioned into the shape of a clock face that featured 5 bars, representing stops in time. The evening featured revered, handpicked collector wristwatches curated by Hodinkee’s founder Benjamin Clymer and paired with Maestro Dobel’s meticulously crafted variants to highlight the art and precision of both spirit and time. Maestro Dobel Silver, Reposado, Añejo, Humito (a smokey flavored tequila) and their top brand Maestro Dobel Diamante, were each paired with collector watches at each station. The watches included 1960s Patek Philippe Calatrava Reference 3445 in Yellow Gold, 1957 Longines Dress Watch, Rolex Datejust Reference 1601, Yellow Gold Universal Genève Tri-Compax, and 1972 Girard-Perregaux Olimpico Reference 9075, as they exhibited the properties most represented by each expression. Following a speech by Hodinkee’s Editor in Chief Jack Forster, guests also watched in real time as professional watchmaker Ramsy Sarraff painstakingly assembled a Omega Genève Calendar Caliber 562 watch while giving insight into the craftsmanship correlation between watchmaking and tequila making. 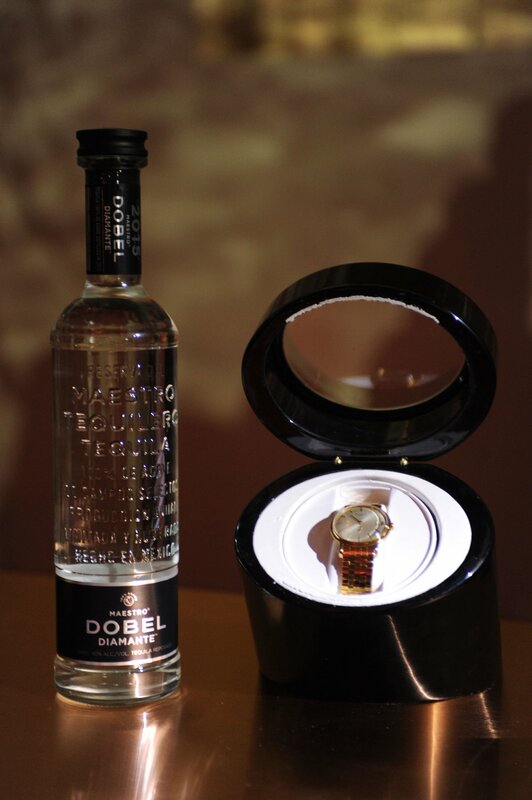 The On Dobel Time event launched in New York City first and then went to Miami. It was co-hosted by Benjamin Clymer, founder of HODINKEE. “We are always looking for new ways to engage watch lovers and to bring our passion for watches to new audiences – working with a brand like Dobel is a perfect opportunity, allowing us to speak with like-minded people who appreciate craftsmanship, expect attention to detail, and have respect for doing things the old-fashioned way”, says Stephen Pulvirent, HODINKEE’s Managing Editor. 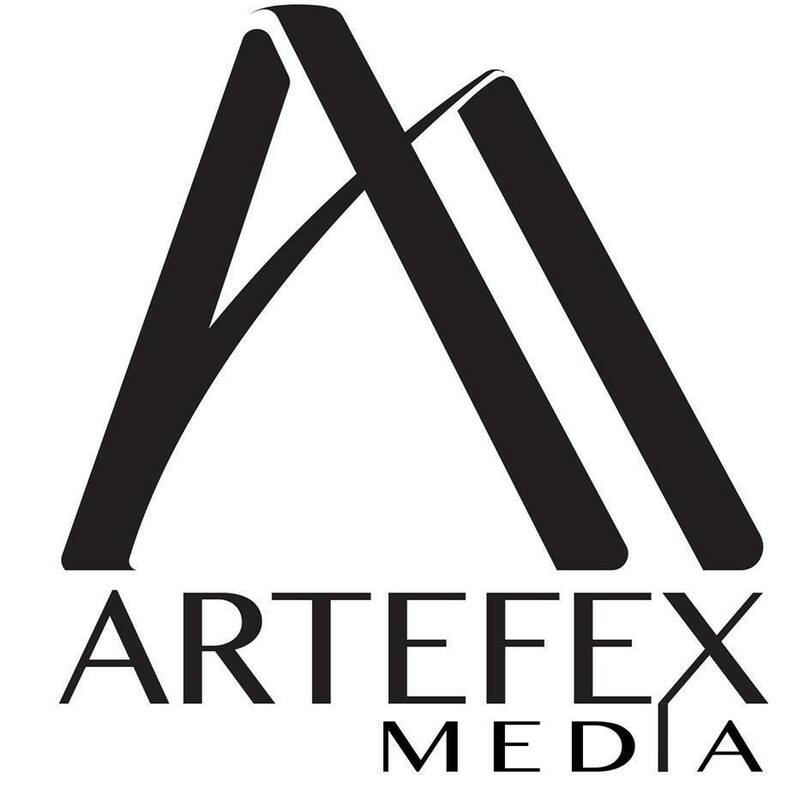 The next interactive event will be held in Los Angeles.